Scarce (if not lacking) in Africa, this mutation did not apparently originate there but in East India, where it appears in 4% of subjects. 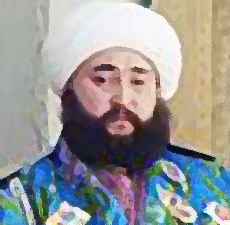 Mongols were probably the source of its spread in small amounts to Europe (0.5%), where it is scattered in small amounts, notably through Poland. Twenty percent of the inhabitants in the present-day Mongolian capital of Ulaanbaatar still carry it. It is virtually absent in Native Americans, Africans and African Americans. There are pockets of it in China but not Korea or Japan. Finally, it surfaces in Iranian, Altai Turkic and Tibetan varieties. 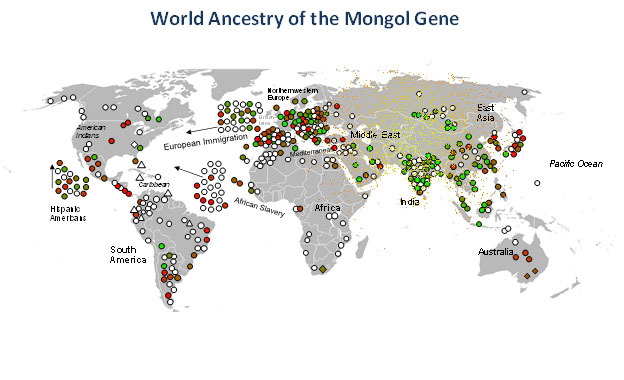 The Mongol Gene has its locus in Mongolia and India and sparingly appears in China, the Middle East and parts of Europe.